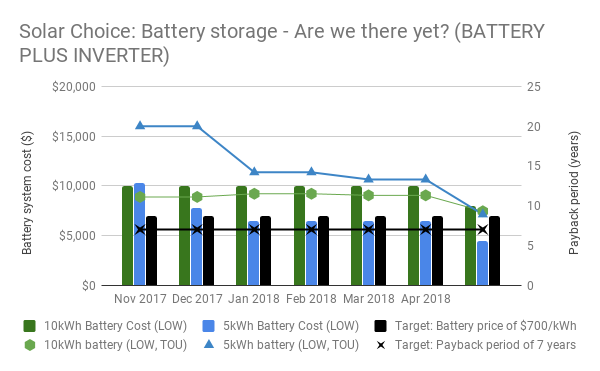 This month saw the most significant changes to battery installation prices since we started keeping track last November, thanks in part to an influx of data from companies in the Solar Choice network as they update their details for our price comparisons. 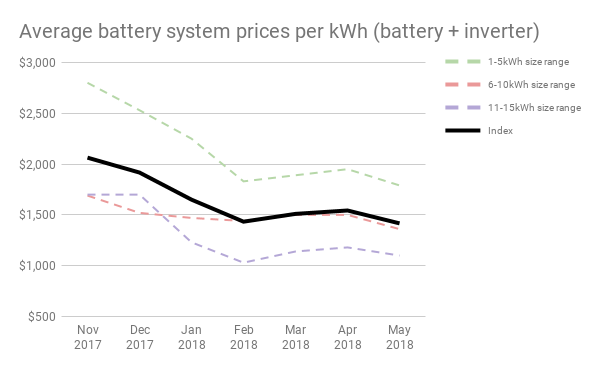 While April saw an average increase in prices due to the addition of some high-end products, May has seen a general decrease at both the high & low ends of the price spectrum. 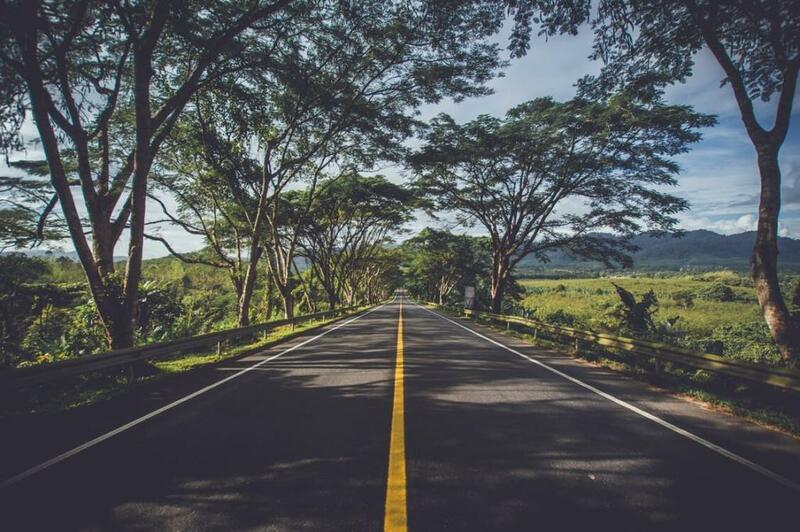 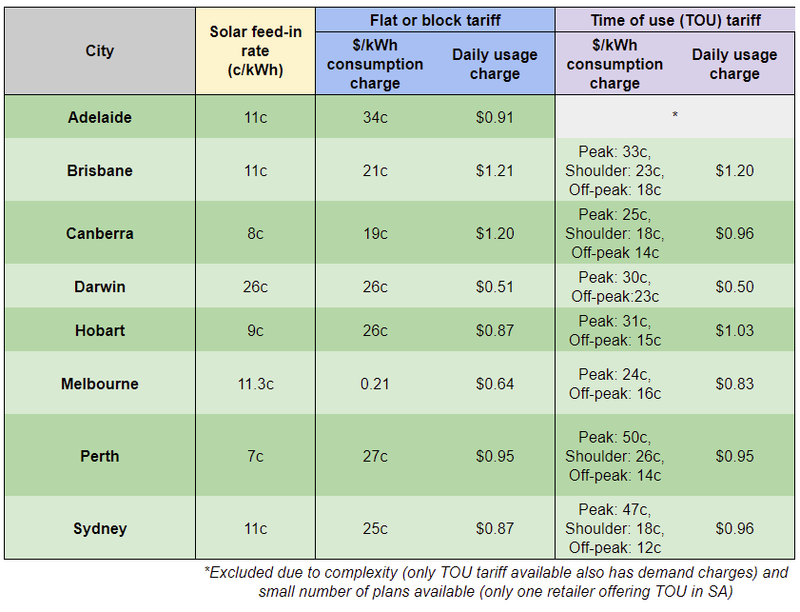 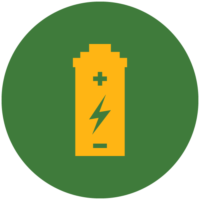 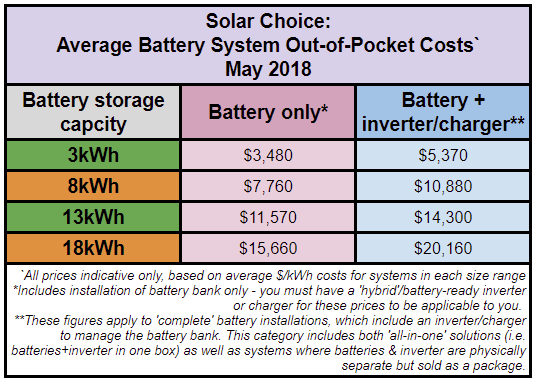 At least one offer in the 5kWh size range was under $5,000 for full battery installation (including inverter), with an estimated payback period of just under 9 years on time-of-use billing. 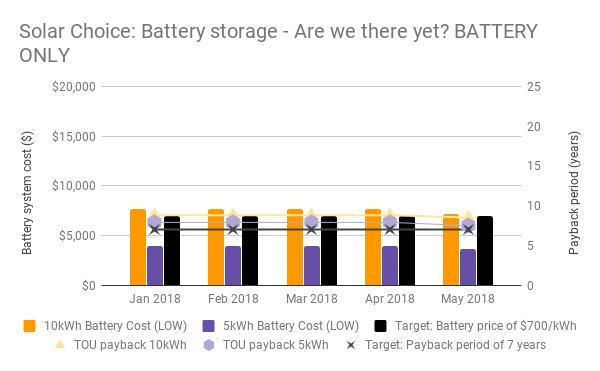 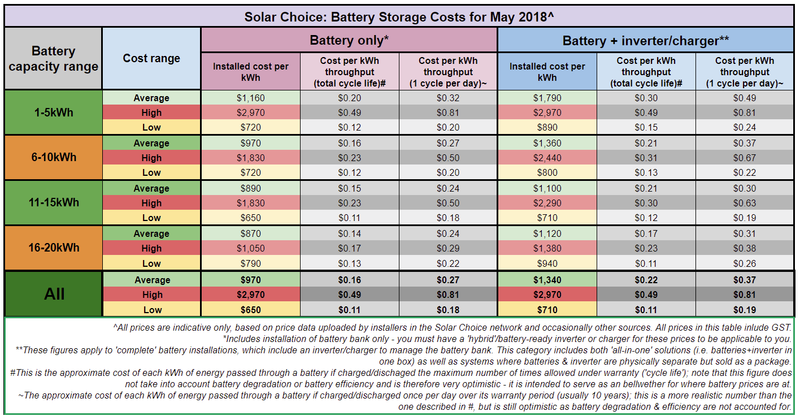 Payback periods in the ‘best case scenarios’ to hover around 11-13 years for full/retrofit battery systems, or about 8-9 years for ‘battery only’ systems (see notes below for more details on each).